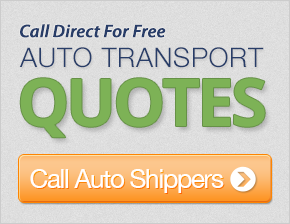 AmeriFreight is a "preferred" auto shipping company in America. This company, which has been in business since 2007, tries to cut through some of the mystery surrounding the industry. By openly discussing industry practices and explaining simple methods to ensure your car is shipped safely and quickly, AmeriFreight really puts the customer first. To further ensure quality car shipping insurance for customers, AmeriFreight only works with shippers that have 95% or better approval ratings. All AmeriFreight pricing models beyond the "Economy Saver" include free gap coverage, a type of insurance that covers any deductibles you must pay (up to $1,000)to your insurance company should damage occur to your vehicle during shipping. Of course, this applies only if the shipping carrier's coverage doesn't already cover the damage. Besides offering varied pricing models that can fit just about anyone, AmeriFreight also offers customer discounts for students, seniors, military members, police men and women, firefighters, and emergency service workers. Anyone wishing to claim these discounts must provide a valid picture ID. My driver was honest, upfront, and kept us informed the entire move, which really restored my faith in the industry. I had several items in the cab of the truck, and all of it made it without a problem. I highly recommend the transporter. I was very pleased with the time-frame and delivery of my car. The driver was very courteous with the delivery, and her car was in the same condition as pick-up. The transport experience was excellent. We definitely plan on letting our friends and neighbors in Sun City Grand and Surprise, AZ, as well as our families in Georgia, Missouri, Indiana, Maryland, New York, Texas and California, know about your excellent service. My rep answered all the quesions I needed him to answer. They are very helpful - I would use them again if needed. I found my rep and every other person very helpful and informative. I would not hesitate to use them for future shipping. I was very pleased with the courtesy and straight forward answers to my questions, which made me decide to use this company. I was even more pleased with the driver, who provided transport information that was precise and delivered the car as promised. Thanks and well done by all concerned. My rep was wonderful to deal with. She is a very important asset to your company. It was a pleasure to do business with her. Your representative was professional and did a great job handling my request. The driver was pleasant, but a little late. The Lexus was picked up 6 days later than promised. It was delivered on Dec. 22 in good condition. That, of course, was the most imortant consideration. Good overall service end to end. I would use this service again.